James Durbin made me a believer. 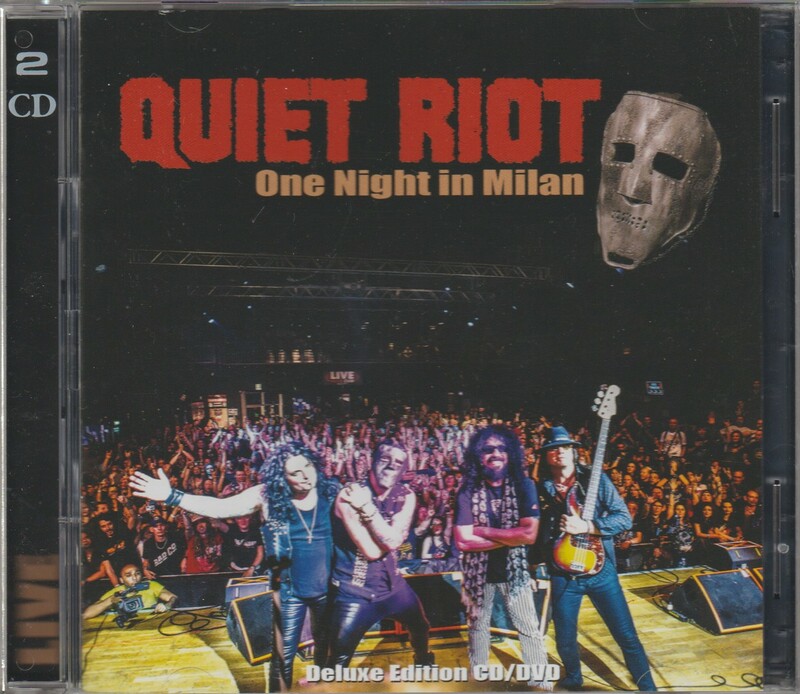 On paper, the current Quiet Riot shouldn’t be my thing. A band with no original members and a frontman from one of those singing contest shows? No thanks. Except it’s actually good. 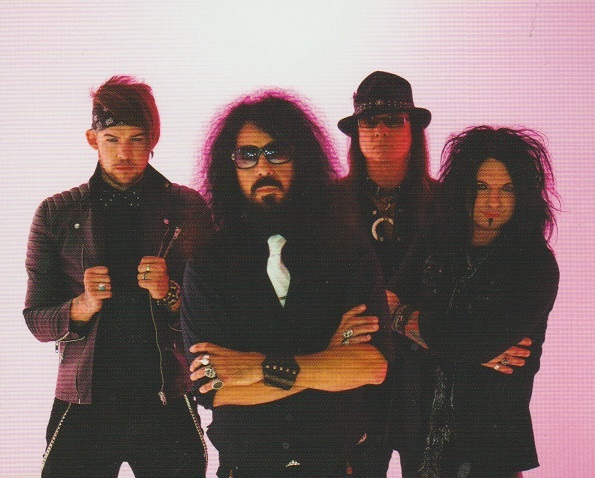 After years of flailing around with different replacement singers, Frankie Banali finally hit gold when he got James Durbin. Wisely, Frankie chose to do a live album with him. One Night in Milan is a terrific live CD/DVD set, aided and abetted by a singer who is 100% into it. Durbin has charisma and the frontman chops, but importantly, he’s not trying to be Kevin DuBrow. He still uses the striped mike stand, but otherwise Durbin is his own person. His range is out of this world, and though his voice may grate on some ears, he sounds terrific to this listener. The whole lineup, including Alex Grossi on guitar and veteran Chuck Wright on bass, has gelled. Quiet Riot get points for doing the opposite of what most bands do. They didn’t ignore their 1990’s albums! “Whatever It Takes” (from Down to the Bone) and “Terrified” (from “reunion” album Terrified) sound awesome live. “Terrified” in particular has been a long time coming, a true hidden classic from a forgotten era. 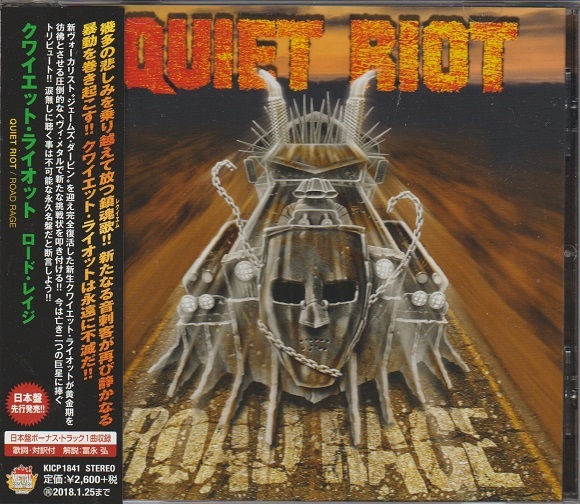 On the other hand, there are only two songs (“Freak Flag” and “Can’t Get Enough”) from their newest album Road Rage. 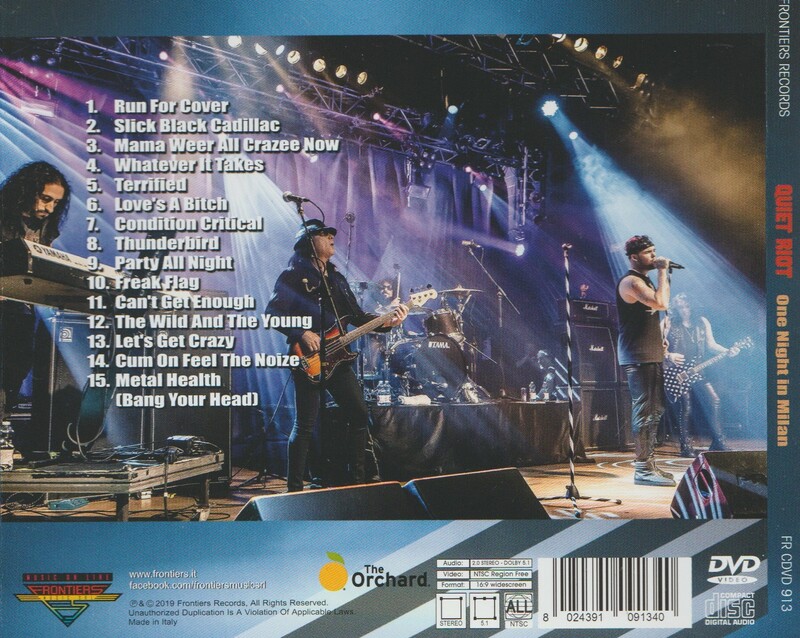 There’s only so much room on a live CD, and it’s otherwise stuffed with stone cold Quiet Riot classics. It’s cool to hear deeper cuts like “Condition Critical”, “Thunderbird” and “Let’s Get Crazy” live. The DVD, featuring all the songs from the CD, is even more convincing. Banali continues to thunder like no other drummer, a true phenomenon. 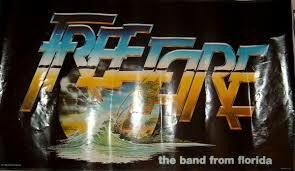 There’s more stage talk included, and Banali introduces “Thunderbird” performed live for the first time ever with piano. Durbin is always the focus on stage, although Wright and Grossi are both mobile, entertaining performers. 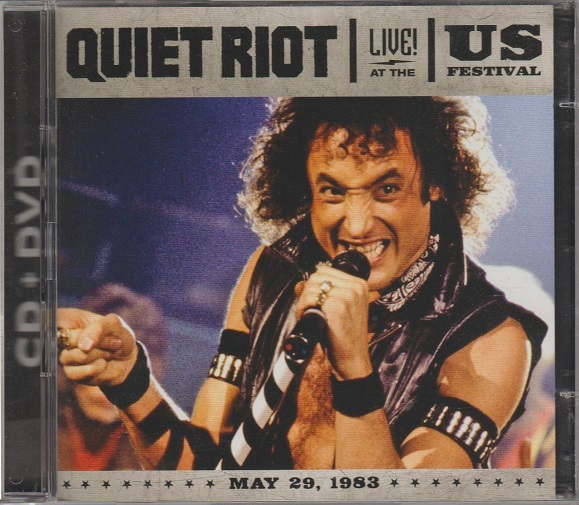 If you’re just not into Quiet Riot without Kevin DuBrow, that’s fine and you should stick to what you like. However it’s safe to say that James Durbin has saved Quiet Riot from becoming a pointless parody of itself. With James center stage, this band has a future again.